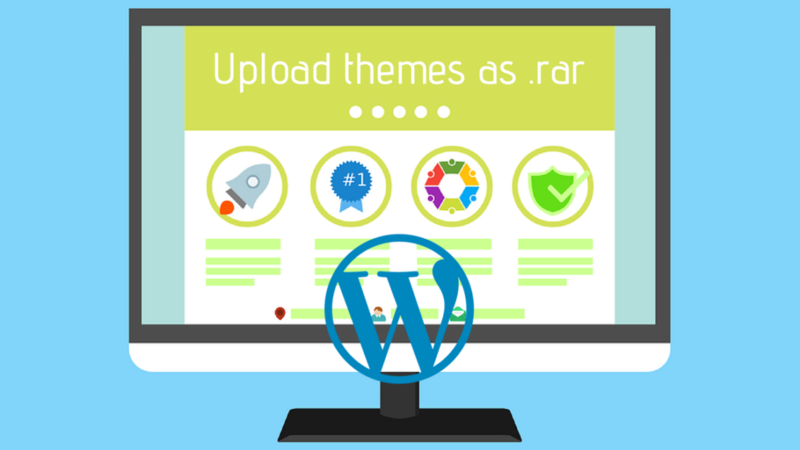 Home Blogging How to Upload WordPress themes as a .rar format! WordPress is a great platform which covers almost 80% Site on the internet. WordPress not only designs your site but also allow you to perform many options on your Website. In WordPress, there are a lot of possibilities like WordPress Themes, Plugins, Appearance e.t.c. WordPress Plugins are the essential part of WordPress. Usually, plugins in every field perform many vital roles to enhance many functions. In WordPress, Plugins are used to implement some activity. Similarly, Themes play a vital role in the customization of your particular site. On WordPress, Themes are a critical part of building the site. Themes are both paid and free. WordPress itself contains a bunch amount of free themes. But, You can also Prefer paid themes which are far better than free Themes. On the Web, many websites offer paid themes such as Themeforest. WordPress themes play an influential role if you are using a WordPress as a maintenance for your blog. The major problem of the persons is that they don’t know to upload the theme in .rar format. You can only upload the themes or plugins on your WordPress site if you have the file of them in. zip format. They are not going to accept any WordPress themes in .rar format. 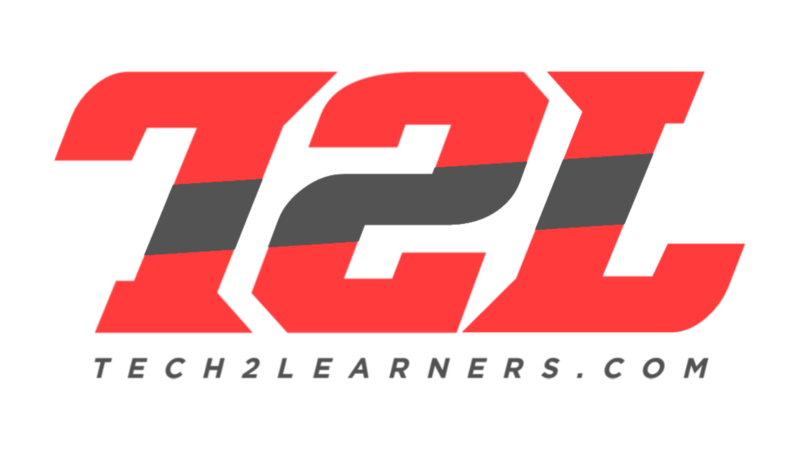 Read also: Domain Registration – the Best way to register free domain Name! 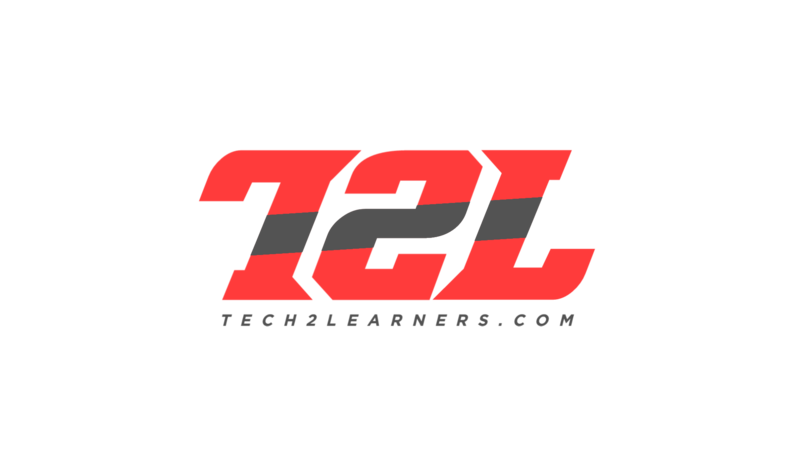 WordPress themes are accepted in .rar format or not? The simple answer to this Question is no. WordPress does not accept any kind of theme and plugin in .rar format. While upload themes in WordPress, there is clearly mentioned to upload the theme in .zip format. But, On the internet, there are many sites which can offer the themes in a .rar format which are not easy to upload in WordPress panel. Here in this article, I am also not going to upload them in .rar format. I would tell you the method to convert the .rar into .zip and then upload them to your WordPress site. In the following picture, WordPress itself is saying to accept the themes only in .zip archive format. How to install themes as a .rar format? I have also mentioned above that it is not possible to upload themes in .rar format. So, therefore we are going to convert the .rar archive into the .zip archive. 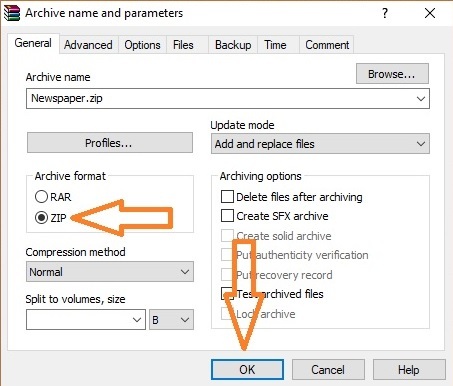 How to convert .rar into .zip? Here we are using the software which is known as Winrar for the extraction and compress of our WordPress theme. So, Download it by Clicking the Download button given and then follow the further steps. After Downloading WinRAR Software You have to Extract your theme file which would be in .rar format. I am also showing the example in the following picture how to extract .rar files using WinRAR Software? 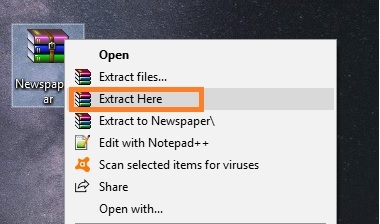 I prefer you to extract them in the current folder or you can also extract this file into another one. In my case it is Newspaper, It would be different in your case. Now You have to add this into the archive by Pressing Right Click and then add to Archive. 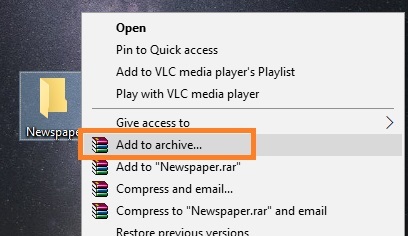 After Clicking on “Add to Archive“, It would show you the options in which you want to compress the folder. Now You’ve to select the ZIP Option and then press the Ok Button. Upload the ZIP file in Your WordPress Dashboard or in the Cpanel. Thanks for this write up. I have a .rar theme I wanted to upload to https://newsng.net . I will try this method.